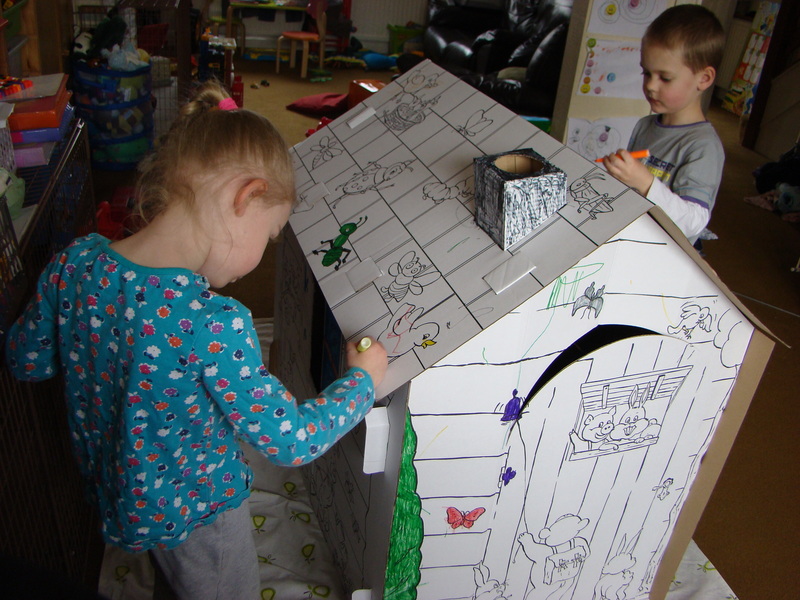 Jasmine and Thomas were very keen to get started on it this morning so before our friends were due we assembled it and they did some colouring. It wasn’t long before our friends arrived though and although Jasmine did try and carry on colouring, Thomas and Ben started messing about with it so I had to move it upstairs until later in the day. The friends we saw today were neighbours at our old house and the little boy is just a few months older than Thomas and Jasmine. He goes to school now and we don’t see him as much any more, so when the kids do all get together they tend to get quite overexcited. This was definitely the case with Thomas today and I have to admit, he was hard work. Quite early in the visit it was obvious that we needed to get outdoors so I made up another batch of Moon Sand with the remaining flour and baby oil and put it in the Tuff Spot outside for the kids to play with. They played quite happily for a little while, but then the boys moved off leaving Jasmine and Ben playing for a while longer. 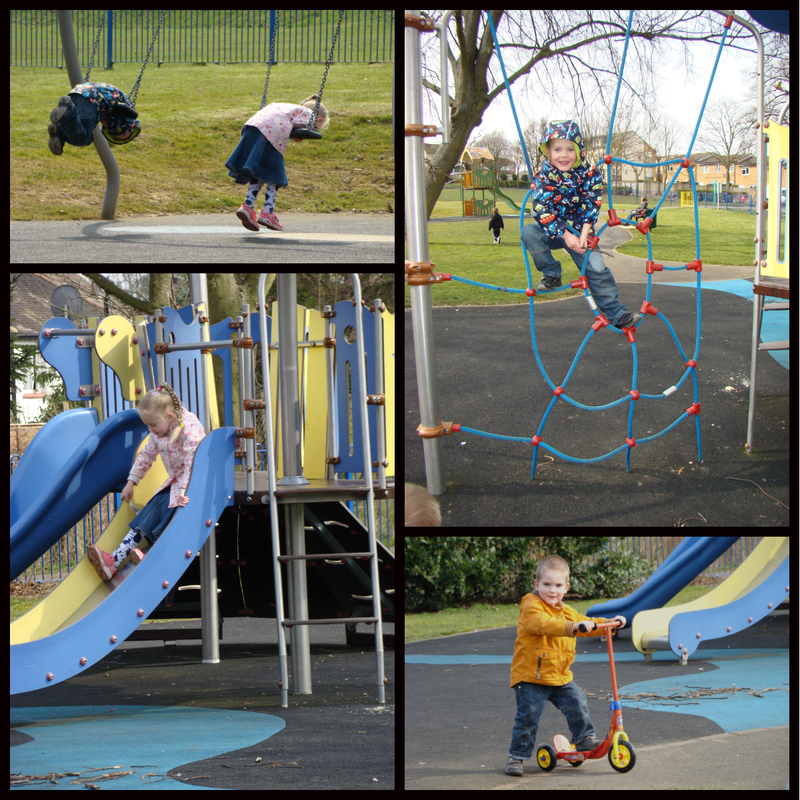 After lunch Thomas was still being particularly hard work so we all went out to the park. This was exactly what was needed and everyone had a great time! An hour later we were back home with 4 happy, calmer kids! I put our Lego Star Wars DVD on for them all to watch until our friends had to go home. Once they had gone, Thomas took himself off upstairs to play with his Lego for a bit by himself. Lego is great for Thomas and really helps him calm down. While he was playing upstairs I brought the Colour-in Playhouse back down for Jasmine to do some more work on and she spent almost the entirety of the rest of the day colouring it in (I did manage to get her to take a short break for dinner!) Once Thomas was back downstairs he joined in with the colouring. All in all we had a good day, although a little stressful for me at times! Tomorrow (actually it is now past midnight so technically I mean today!) 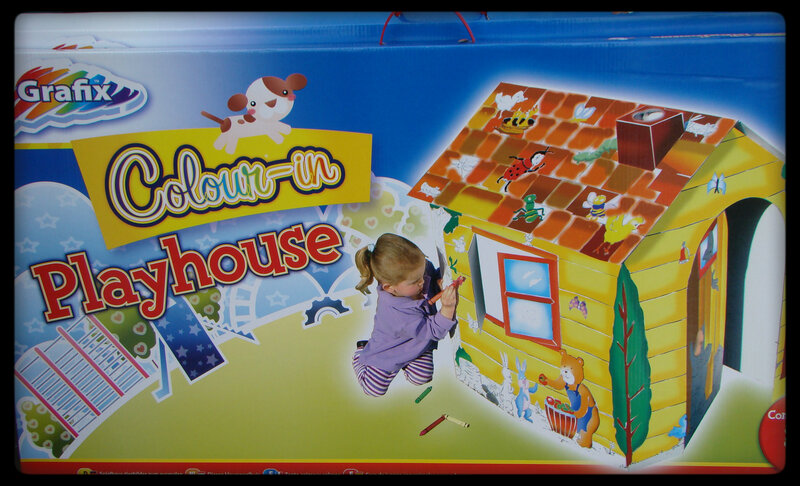 I foresee more playhouse colouring and hopefully a generally calmer day all round.